I am so excited for fashion night out Toronto Next week. 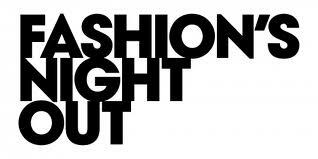 Finally Toronto is going to join in the festivities for Fashion's Night Out which is almost now a global phenomenon. I am making plans to take part in the festivities but since its my first time going I have been wondering about what I am suppose to wear. Am I supposed to be a little casual ? or formal? I mean after all its a night of shopping right ? I will make sure to take tons of pictures. Are any of you going to Fashion Night Out this year? If you happen to be Toronto Please find below the guide on where to go . The launch of The Bazaar by RAC, a three-day pop-up marketplace with free cocktails and snacks, music by DJs Famous Players, and a giveaway of two plane tickets from Porter Airlines. The merchandise comes from over 20 Toronto retailers and designers, including Gotstyle, Lab Consignment, Drake General Store, Psalms:911, Vocado, Elle Hardware, Woodlawn, Rescue Vintage, Robber, Philistine Vintage, Canon Blanc, Magic Pony, Chloe Comme Parris, Life of Manek, Foe & Dear, Love of Mine, Fischer Street, Muskox, OnlyOne Gallery, 69 Vintage, Travis Taddeoand The Cashmere Shop. I will go in NYC on the 6th of Sept and I am also looking forward to it already! YAy ! make sure you take tons of pics for us .